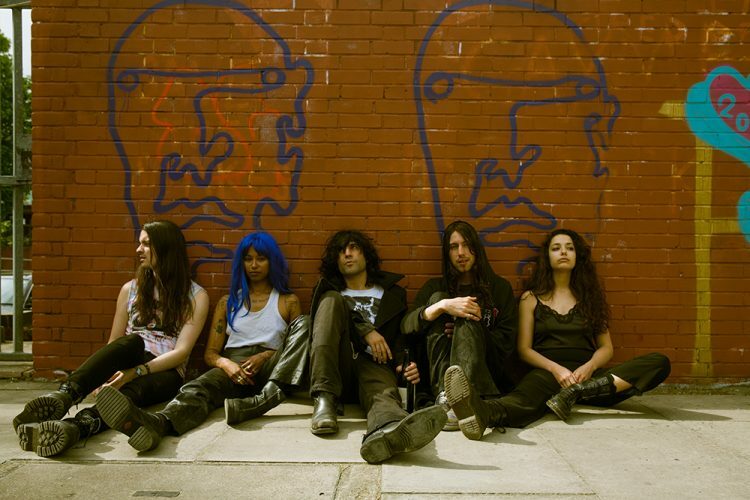 …the 5-piece led by co-writers Nima and Nuha, resemble more of a collective than a band, having collaborated onstage with musicians from Flamingods to Bo Ningen, Ulrika Spacek to Wolf Alice, and even a performance from newly-acclaimed LA director Eva Doloveska. Living a lifestyle of artistic warehouse communities, Arrows Of Love are a constantly evolving force, led by fiercely energetic live shows and wildly inventive yet diverse songwriting. Embarking upon their second album, ‘PRODUCT’, the band found themselves backed by the UK’s highly competitive PRS Foundation “Momentum Music Fund” and after accepting an invite from CMJ Music Marathon the band confirmed a string of DIT-funded US showcases, followed by a support slot with British post- punk legends The Fall, and The Stooges’ Mike Watt (US). Arrows Of Love are, above all, a live phenomenon. Originally aligned with the early East London wave of bohemian rock bands, it was their fiercely independent and creative drive that took them across the globe, from Texas to Poland, SXSW to End of the Road Festival, and sharing stages with the likes of British Sea Power, 80’s Matchbox B-Line Disaster, and next The Wytches. Working to cut this live intensity to record is Godrich- mentored UK producer Mikko Gordon (Thom Yorke, Gaz Combes), and USA’s Bob Weston of Shellac, who pledged to work with the band for life after receiving singer Teranchi in his Chicago hub. This is a band made for the transatlantic, drawing comparisons to US bands with the discordant, emotive musicianship of Sonic Youth and the raw power of McClusky, delivered in their own, inimitable, distinct British style. 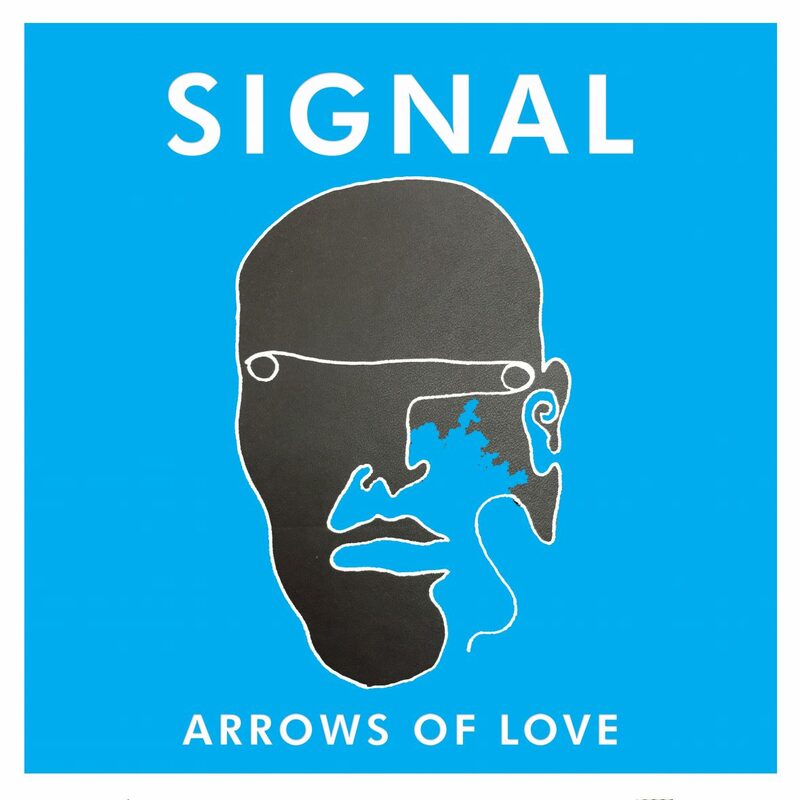 New single “Signal (Redux)” was premiered by Noisey and is out on I’m Not From London Records on 23rd June 2017. With ‘PRODUCT’ the band are set to prove themselves the real deal. This second LP sees a band fully diversified, ready to release something truly unique. Preorder “PRODUCT” the forthcoming Arrows Of Love album from PledgeMusic.